Braces are an ideal accessory to dress well. During the nineteenth Century it was the accessory used the most to hold trousers; yet, in the twentieth Century it was relegated to second place due to the increased use of the belt. Currently, the tradition of wearing braces is coming back, although for a lot of people it never went away. Many men prefer to wear braces because they give a touch of elegance to their look and hold trousers in a more comfortable way, keeping them always in place because they don’t slip with movement. For large men, the use of braces offers great advantages as they prevent the typical ballooning of the fabric under the belt nor do they emphasize the stomach. There are various types of braces, mainly with leather end button-hole fasteners or clips and with X-back or Y-back shape. The ones with leather end button-hole fasteners usually end in a piece of leather with holes and hook onto buttons sewn to the inner part of the trousers. This kind of braces can be worn with formal trousers, which normally have those buttons. The clamp-style braces end in a metallic clip that grips easily to the trousers waist. This type of braces can be worn with any type of trousers; however, they are most commonly used in informal dressing. 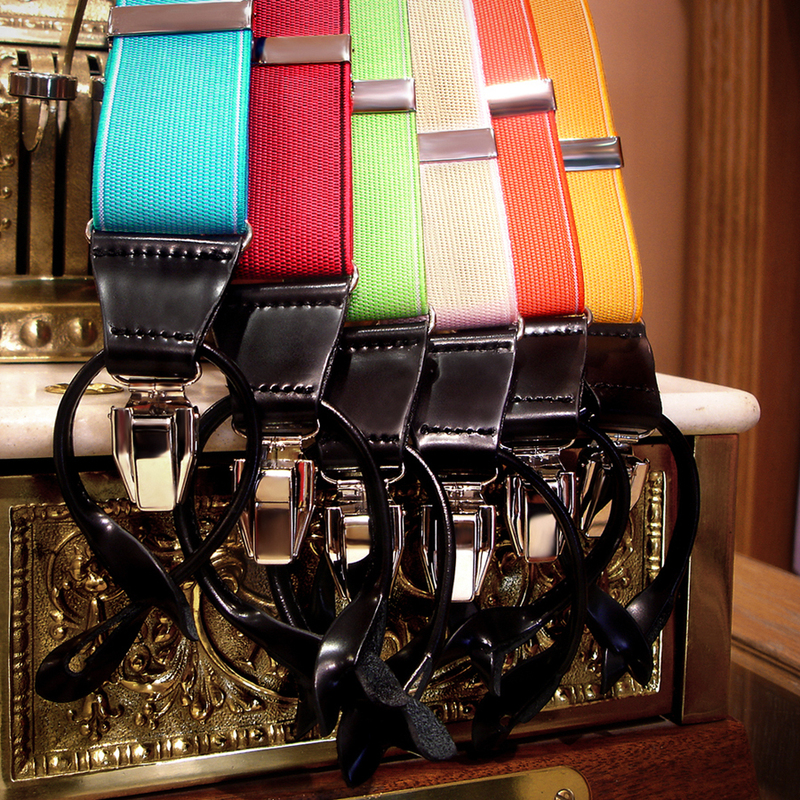 You can start wearing braces and the best way to do it is with one of our LEYVA styles.